Today’s challenge is to practice spending your days doing things you enjoy. The flip side: work on eliminating the time spent on things you’re not particularly good at and which you don’t enjoy. It will make you a happier, efficient and more successful lawyer. “Doing things you do well” means doing things that match your skill set and come easily to you. Tasks you can do in a breeze – and which move you forward in your professional journey. It sounds like such obvious advice. But it is often surprising when we take a close look at how we actually spend our day. We find we waste precious moments on inconsequential matters, fritter away chunks of time on things we’d rather not be doing, and never get around to those things that rank high on our bucket list. This is partly because we are not always wise time managers. We wonder why we’re not where we want to be in life, why we haven’t reached our professional goals. Maybe one reason is we’re investing our time, energy and attention – our best parts – on jobs, activities and relationships that aren’t improving the quality of our lives. They’re not getting us anywhere. The first step for improving time management skills – from a medical site, no less – is to start keeping a Daily Time Diary. Once you’ve got a better handle on how you’re actually spending your time, you can come up with a daily schedule, supported by to-do lists, to make sure your time is invested like blue-chip stock. Place more time in pursuits that bring a high yield – marketing new clients, settling cases, going camping with the family – and less in those that yield little or nothing – trying to fix the printer, talking sports for hours, Angry Birds. Become more selfish – in the sense of making self-care a priority – and learn to say no. Do it without guilt. Turn off cell phones and devices and exit the grid. Start Your Daily Time Diary. Do it for a week. List what you do every day. Be honest. If you binge-watch TV, write it down. Don’t be a perfectionist. Good enough is good enough. Delegate and outsource. 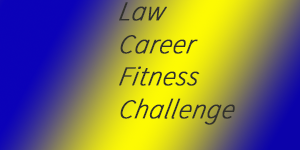 See Law Career Fitness Challenge #14.